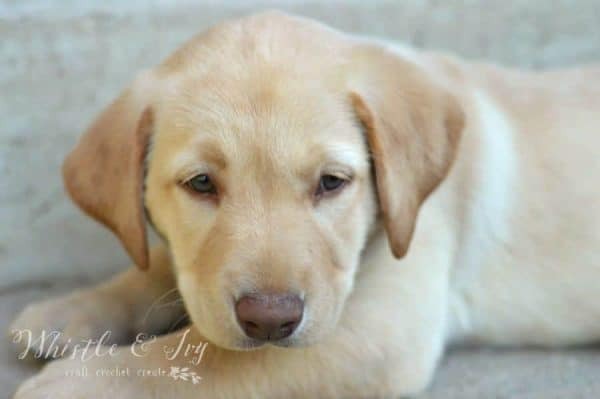 This posts contains affiliate links. For more info click here. 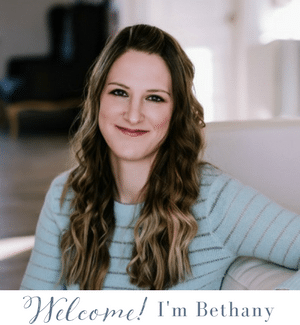 As a stay-at-home mom, and a working mom, I have to find time to work during the day. Sis takes wonderful long naps, so I try to take advantage of those. 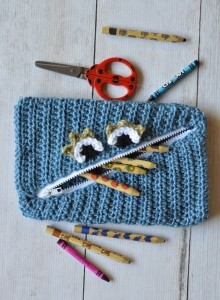 A lot of the time I crochet during the afternoon while The Boy plays with Kid K’nex. That kid is obsessed. He might actually grow up to be an engineer. I am so amazed at what he can create. 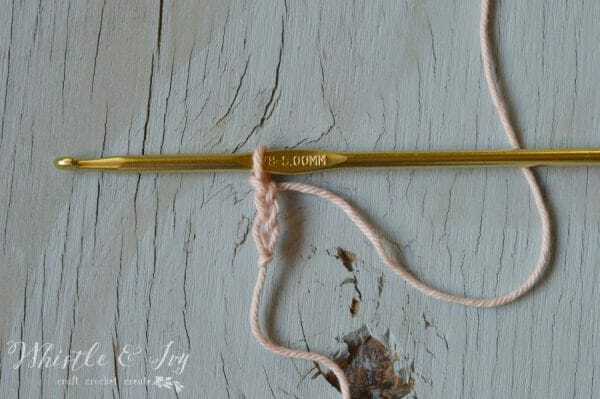 I don’t want him to hate my yarn and hook though, so I love making things for him. He still love his Muno plushy, and Sea Turtle. 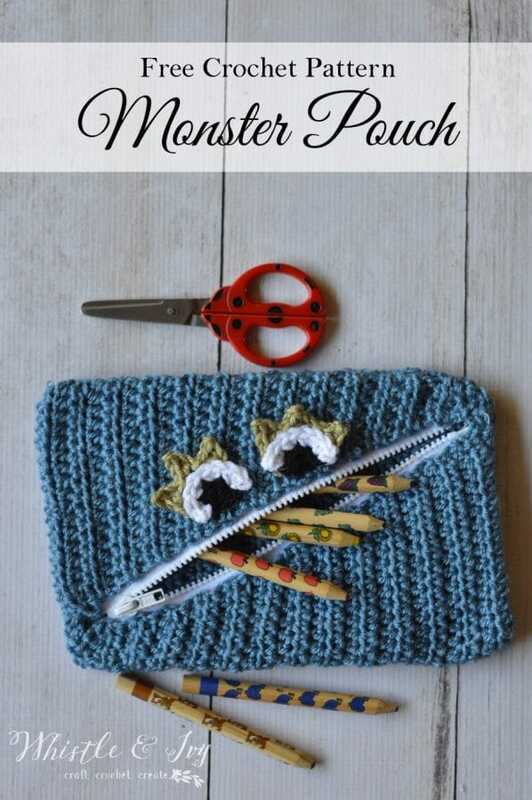 This crochet monster pouch is a fun way for him to carry about pencils or toys. He loves containers of all kinds; it’s very adorable. 1. Ch 20. Hdc in 2nd ch from hook. Hdc 18. Turn. 3. ch 1. Hdc in same st. Hdc across. Sk 2nd to las st, hdc in last st (1 decrease) Turn. 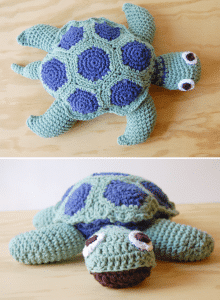 Follow this pattern of 1,2,3 (1- work 1 hdc in each st, turn) (2 – work a decrease on slanted edge, hdc in each st.) (3 – work a decrease on slanted edge, hdc in each st.), and repeat until you have 27 total row. 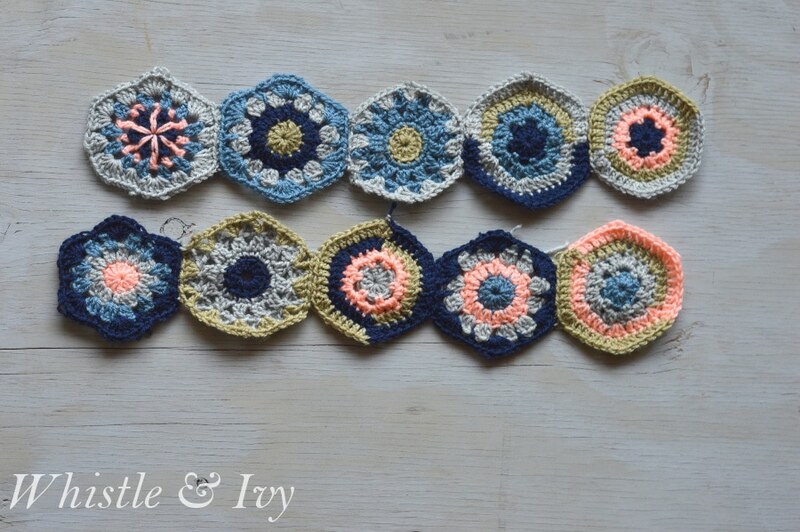 The decreases will alternate being at the beginning and end of the row, but you always want to work it on the same side. 1.Hdc in 2nd ch from hook. Hdc in each st across. Turn. 2.-27. Ch 1. Hdc in same st. Hdc in each st across. Turn. 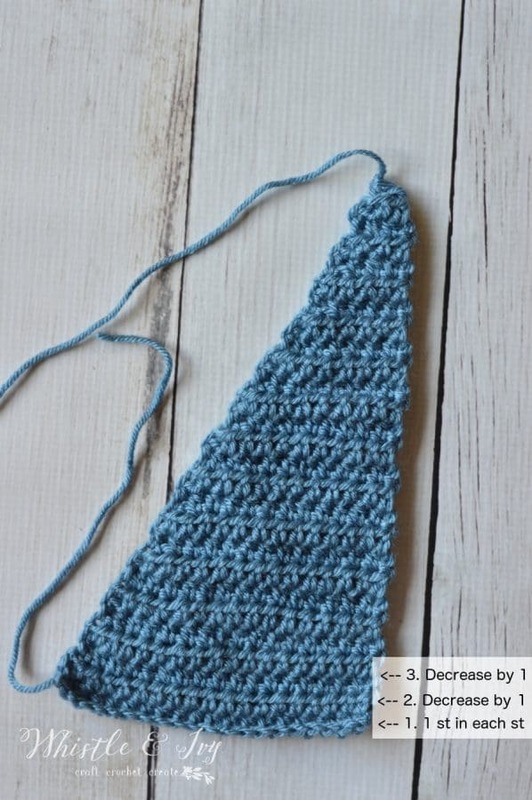 Line up your triangles, and place the zipper in the middle. You can sew it, but I hot-glued it in place. 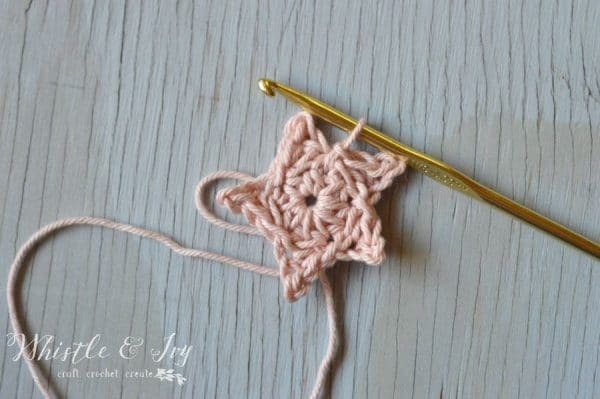 It’s much easer and faster, and the glue holds onto the yarn very well. You will need to trim the ends of the zipper. Start with magic ring, using black. Sc 2 in same st. Sc 2 in next 3 sts. Don’t turn. Work this round through the back posts of the sc sts from 2. Attach the eyes above the zipper. 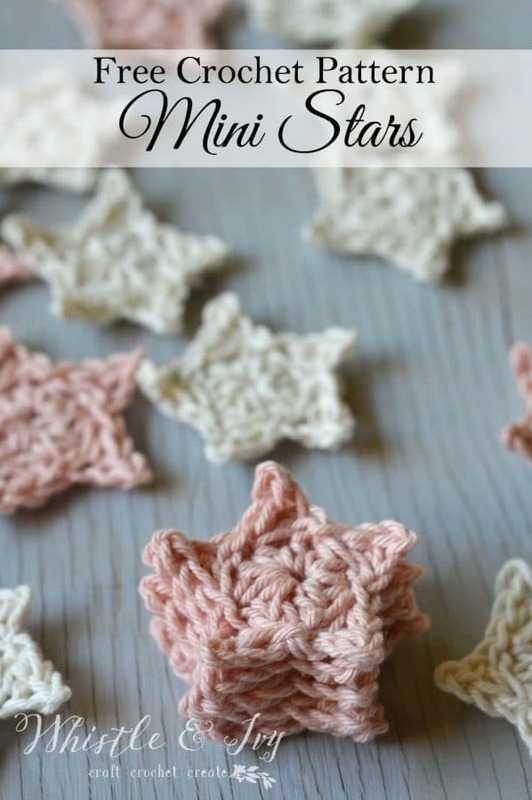 You can sew them, or hot glue them. I also ended up putting a few extra daps of glue near the top and bottom of the zipper, to make sure the pouch was completely enclosed and attached to the zipper. 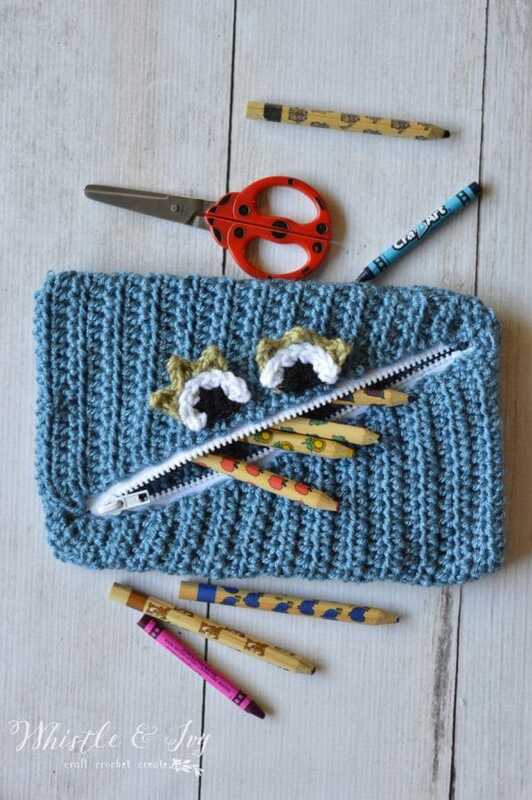 The Boy has already started packing around silly toys in his crochet monster pouch, but it will be perfect for pencils and crayons when he is in preschool. 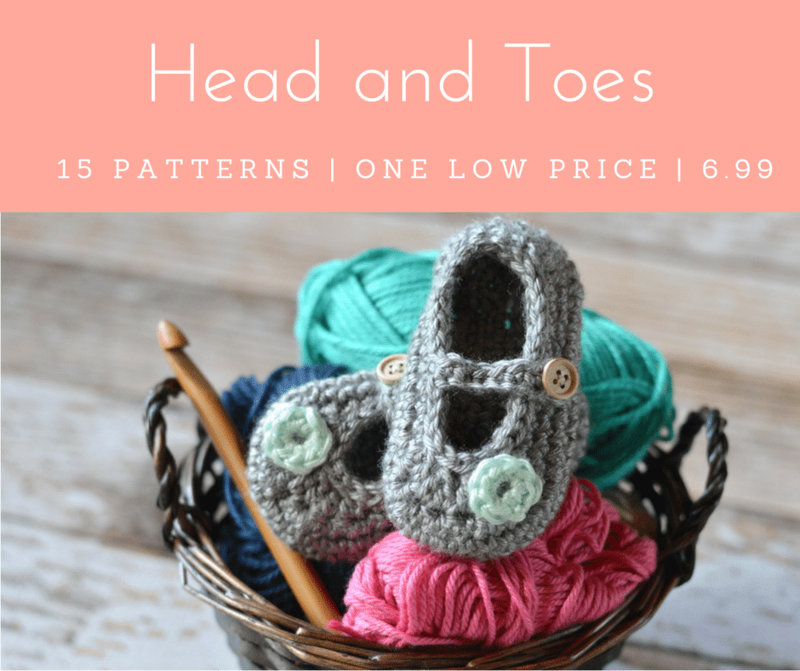 Don’t miss a pattern or post! 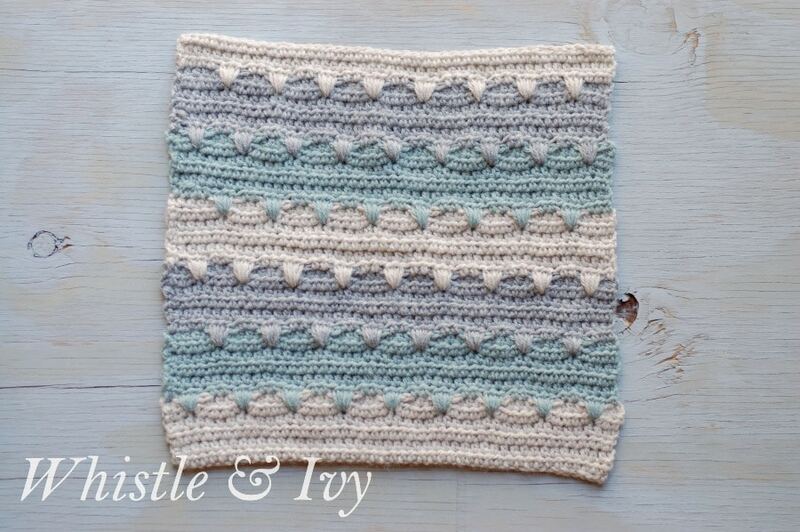 Subscribe to Whistle and Ivy, and follow in Instagram. 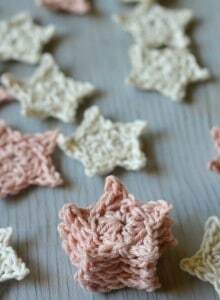 I hope you enjoyed our crochet along! We had so much fun creating our hexagons, and we are so excited to share our final hexagon projects with you! 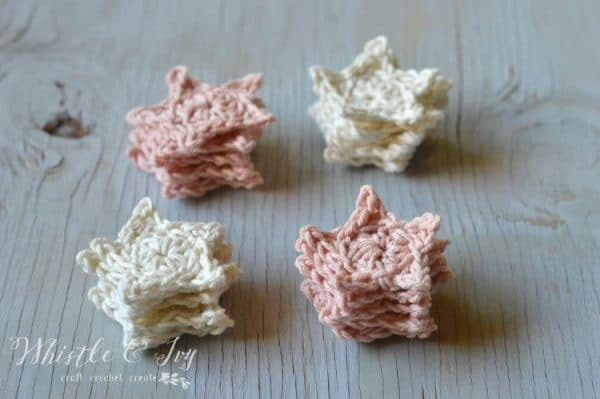 I hope you find some amazing inspiration for your hexes. 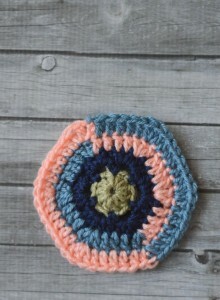 If you are just going us, you can learn about the Crochet Along here, and get all the hexagons here! 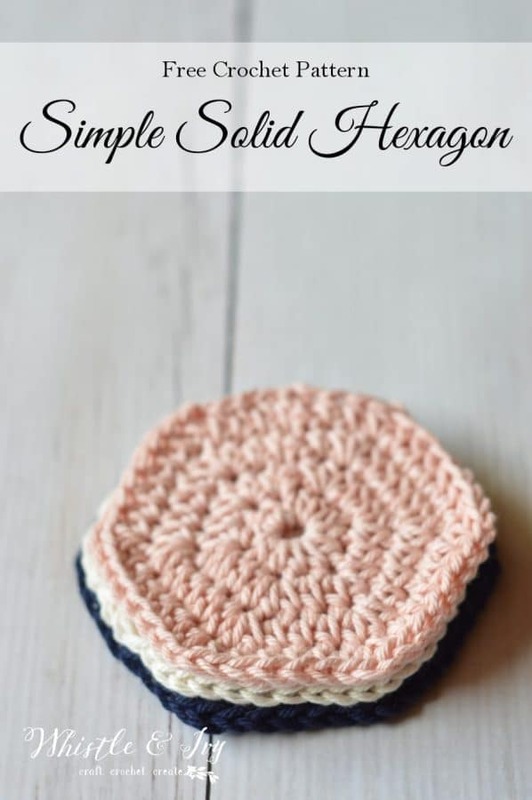 Today I am sharing my Hexagon Crochet Along project! 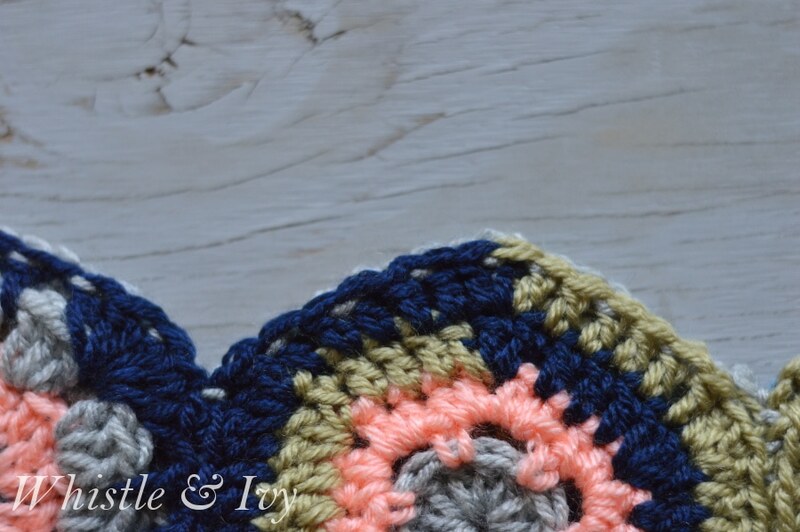 If you haven’t joined us, you can learn about our crochet along here, it’s never too late to start! 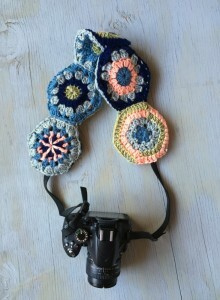 This hexagon camera strap is so, so easy, and you can mix an match your hexagons for a fun, whimsical finished project. Plus, it makes your camera very comfy to hold around your neck. 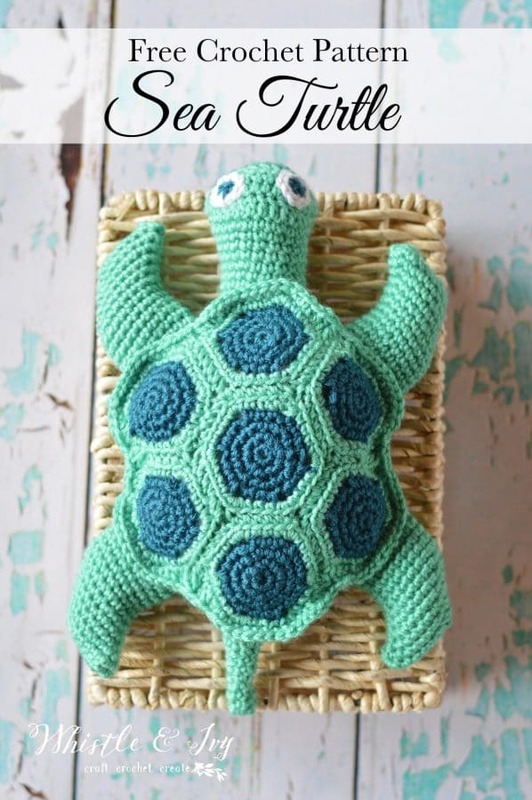 For this project, you will need 10 Hexagons. 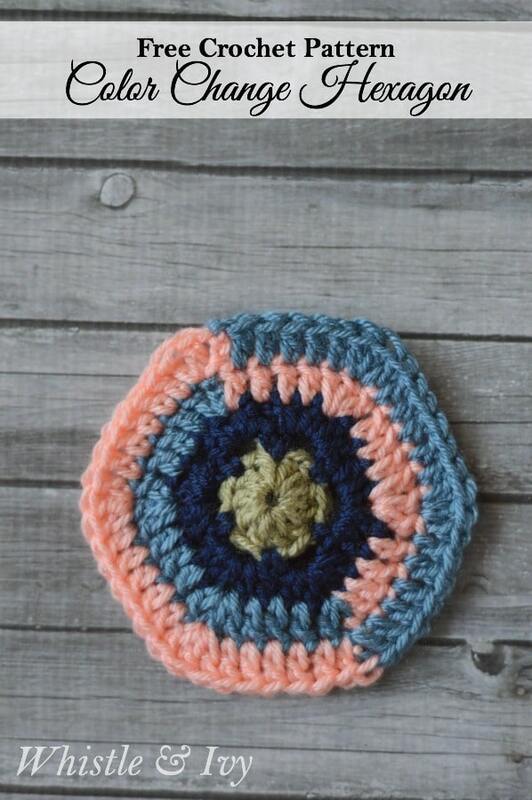 Get the hexagon patterns HERE. 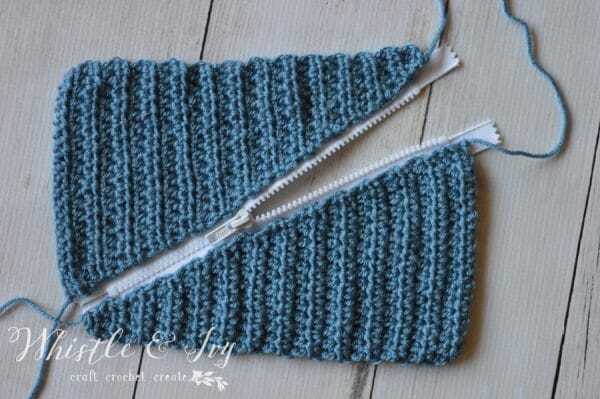 Start by sewing two strips of 5 together. 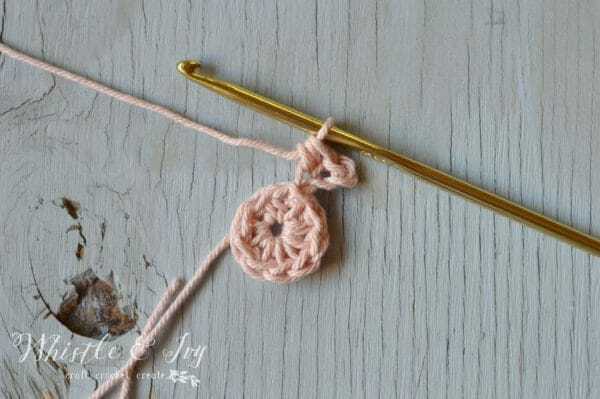 From here, you can either sew it together around your strap, or your can sew it together first and fish your strap through it. I opted to sew it first, then fish the strap though, but it proved to be a bit tricky. 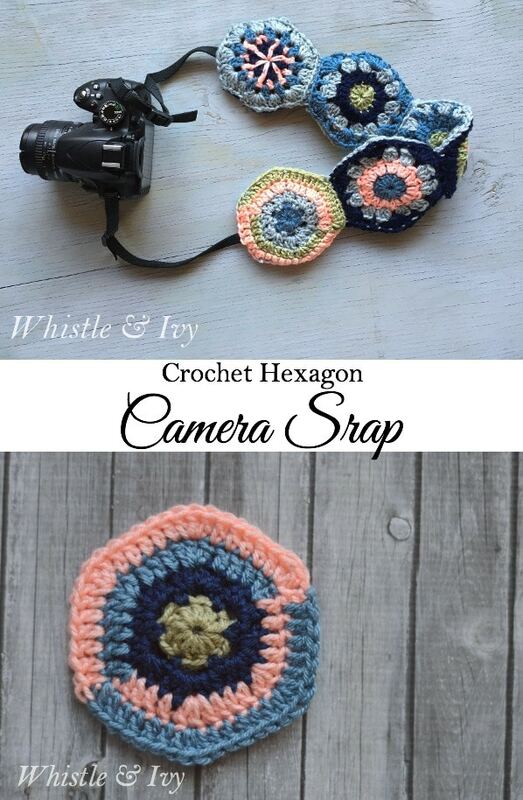 You might want to take your strap off your camera and sew the hexagon strips around it. 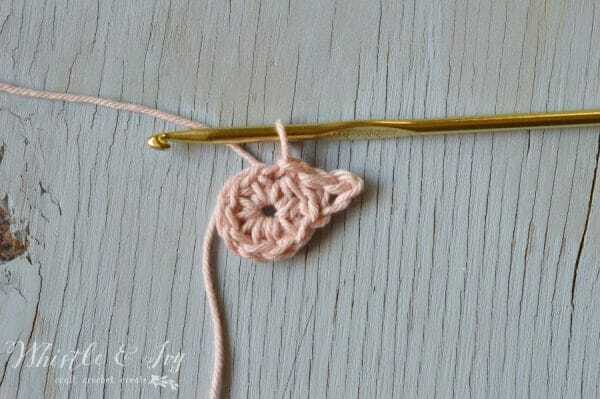 Using a yarn need and some corresponding yarn, sew in and out across the long edges of the strip. Leave the ends un-sewn. 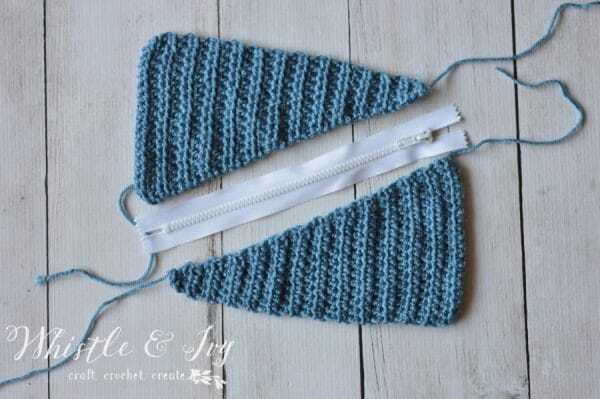 Once your strap is in place, sew the open edges shut. 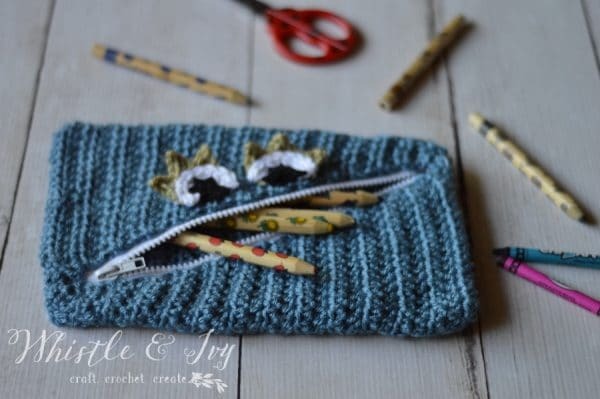 As you sew across where the strap is, just sew through one layer. 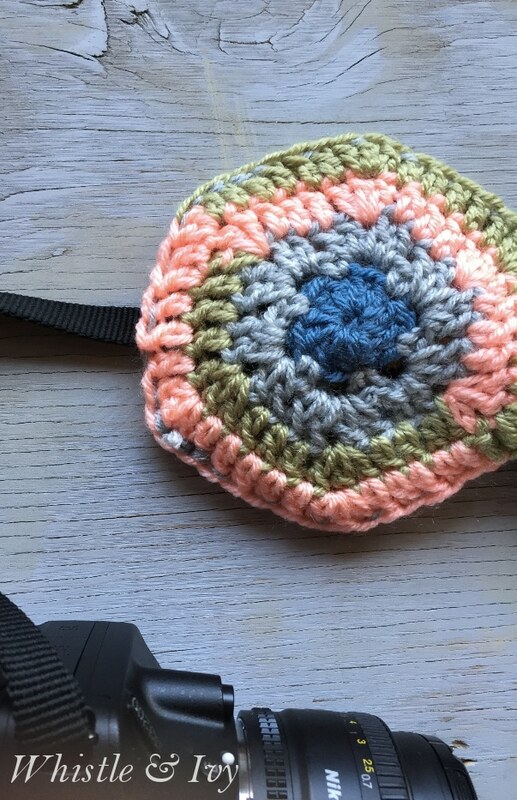 Tie off your ends and your hexagon camera strap is done! 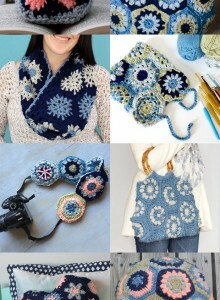 Make sure to check out these seven other fabulous projects as well! 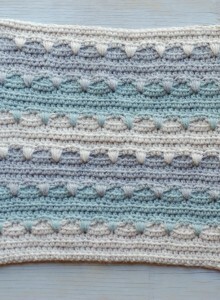 Thank you to Knick Picks for providing yarn for this crochet along project! This post contains affiliate links, for more info click here. 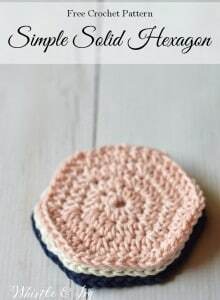 I am sharing this color-change hexagon crochet pattern with you as part of the project. I have to admit, I have never been very interested in decorating for Valentine’s Day. But this year I thought I would give it a try. 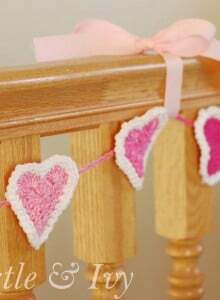 I have this long bannister, and I thought a cute, pink garland would be a romantic touch for the upcoming holiday. 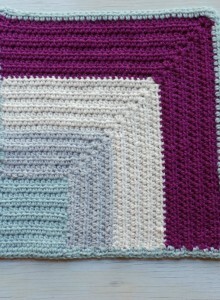 It turned out pretty cute, and I love the stripy, hombre yarn. 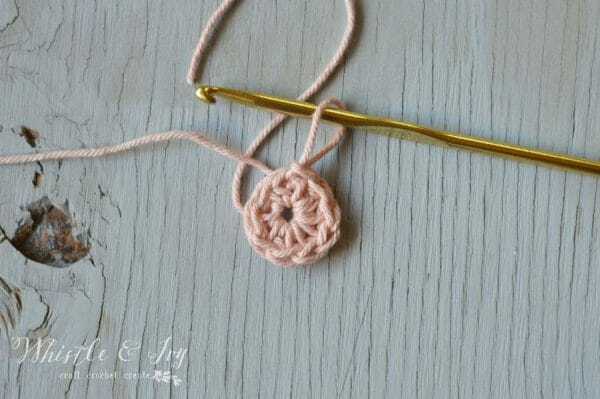 6 mm hook, medium weight yarn. 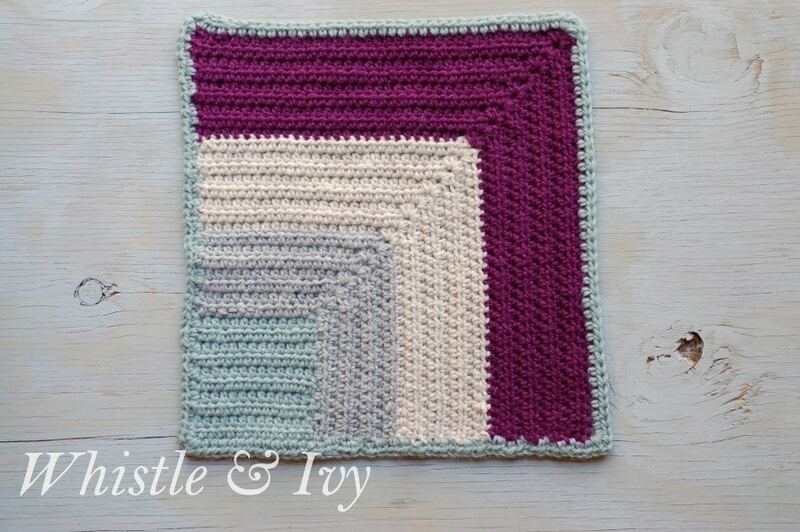 I used cotton yarn from Peaches n Creme, in Strawberry Stripes. Sc into 2nd ch from st. Sc, hdc, dc. Dc 9 in last st.
Start your next round in the first sc from the round you just worked. Sc 3 in the st pictured above. Sc 4, hdc. Work 5 dc and 1 sc together in the next st. Skip one st and sl st into the next st. Skip one st again and work 1 sc and 5 dc together in the next st.
Sl st, and tie off. To make the border, join your second color to the left of your sl st. Ch 1. Sc in same st. Sc 7. Sc 2 in each of the next 5 sts. Sc. Next, work one sc down into the st from the previous round. It will be between the st you just worked, and the sc you will work next. It will be long. Sc 1 in the next st. Work 2 sc in the next 5 sts. Sc 7. I finished my garland by making a 10′ chain (extra to tie the ends up) and hot glued the hearts to the ch. Be careful to make sure that your ch doesn’t get twisted when you are gluing your hearts in place. I used a piece of thick ribbon to tie the middle to the banister. So, do you decorate for Valentine’s Day?